Nothing Gina Haspel said during the open portion of her Senate confirmation hearing seemed likely to derail her nomination to lead the Central Intelligence Agency, and she picked up some needed Democratic support along the way. Sen. Joe Manchin III of West Virginia, who serves on the Intelligence panel, was the first Democrat out of the gate to support Haspel. “After meeting with Gina Haspel, discussing her extensive experience as a CIA agent, and considering her time as Acting Director, I will vote to confirm her to be our next CIA Director. I have found Gina Haspel to be a person of great character,” Manchin said in a statement. That specific exchange revolved around which intelligence official was making decisions about which portions of Haspel’s 33-year CIA record could be declassified, with the answer seeming to be that it was Haspel herself, following existing guidelines. Another somewhat perplexing exchange came with Democratic Sen. Ron Wyden of Oregon, who asked Haspel about her position on the potential public release of a document known as the Durham report. Durham, now the U.S. attorney in Connecticut, had been tasked by then-Attorney General Michael B. Mukasey with reviewing potential criminal liability in the destruction of the much-discussed interrogation tapes from earlier in the George W. Bush administration. In addition to Wyden and King, Democratic Sens. Jack Reed of Rhode Island, Dianne Feinstein of California and Kamala Harris of California signed off on the letter, which was led by Democratic Sen. Martin Heinrich of New Mexico. Then there was the hypothetical question that Haspel at times seemed to struggle to address, about what she would do if given a direct order from President Donald Trump to have the CIA use an enhanced interrogation tactic, such as waterboarding, against a detainee. Haspel testified, “I do not believe the president would ask me to do that,” when asked by Republican Sen. Susan Collins of Maine about how she would respond to Trump in such an instance. When President Trump picked Gina Haspel to run the Central Intelligence Agency, he opted for a seasoned veteran of the nation’s spy apparatus, a career professional removed from the partisan skirmishes of recent years who had the respect of many fellow intelligence officers. But Ms. Haspel’s greatest strength as a nominee, her extensive record, has become her greatest weakness as critics pick apart her role in some of the agency’s darkest chapters involving torture and secret prisons, a history that will be front and center at her much-anticipated confirmation hearing on Wednesday before the Senate Intelligence Committee. Her nomination nearly unraveled last week because of that record when White House aides examined for the first time C.I.A. message logs that made clear just how accepting she had been of since disavowed interrogation techniques. Over 100 former ambassadors have voiced their opposition to her nomination.Yet, Haspel has top-notch endorsers of her own. In an ironic twist, the Obama (and Bush) intelligence apparatus has endorsed her wholeheartedly, along with former members of the CIA. 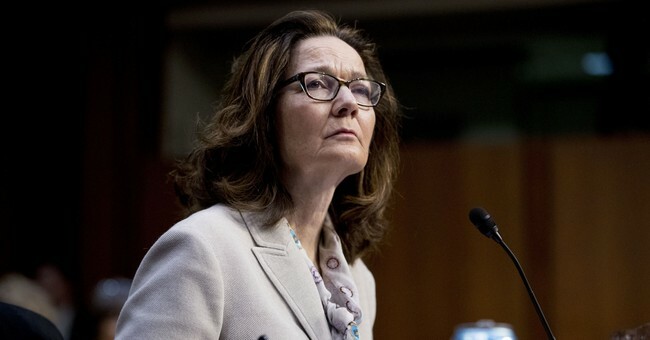 Former CIA Directors Michael Morell, Leon Panetta, John Brennan, and Michael Hayden, who also headed the National Security Agency, have endorsed Haspel. In all, she has over 50 top intelligence officials backing her nomination. I think she's a win for "people who are qualified for the job" (somewhat of a rarity these days). Yeah, leaving out that Haspel did things behind the scenes that allowed us to live, it’s always funny to see feminists cannibalize their own narrative about women’s advancement unless they’re part of or seem to be part of a political movement or figure with whom they despise. To quote Sen. Heinrich, “it’s not that complicated;” only women of the far left are the real heroes, the only ones who can be included in this history. Imagine the meltdown that’s going to happen when the first woman president is a Republican—and it will be a Republican woman. So, it’s a shame Ms. Haspel has to be subjected to this nonsense, but I would bet the mortgage that she would be confirmed. There’s not much for Democrats to work with here other than scream at the clouds, even Obama’s top intelligence people, people who acted upon his kill lists concerning drone strikes, are endorsing Haspel—and the kill lists presented an equally disconcerting constitutional question as waterboarding, if not a greater one. On a side note, Sen. Jack Reed (D-RI) seemed to compare our intelligence operatives to the terrorists we’re trying to defeat.